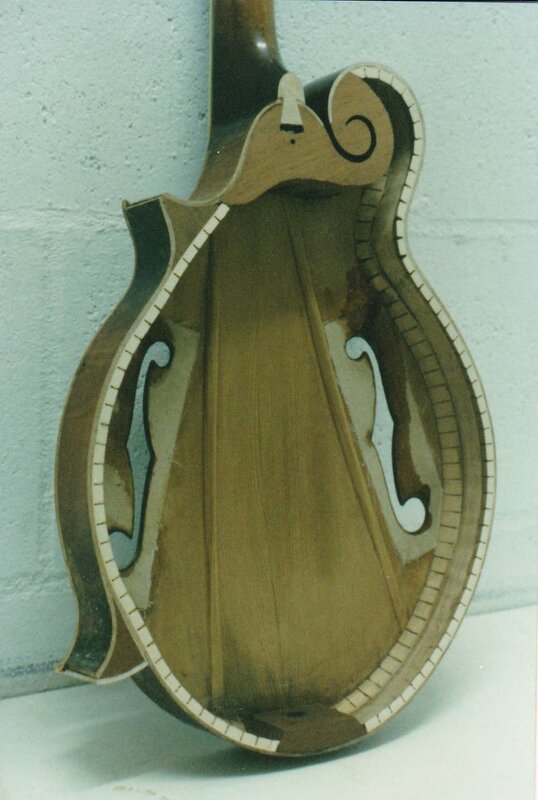 Sadly, this mandolin was stored in its case and wrapped in plastic outdoors for many years before its next owner discovered it in this neglected and de-laminated condition. 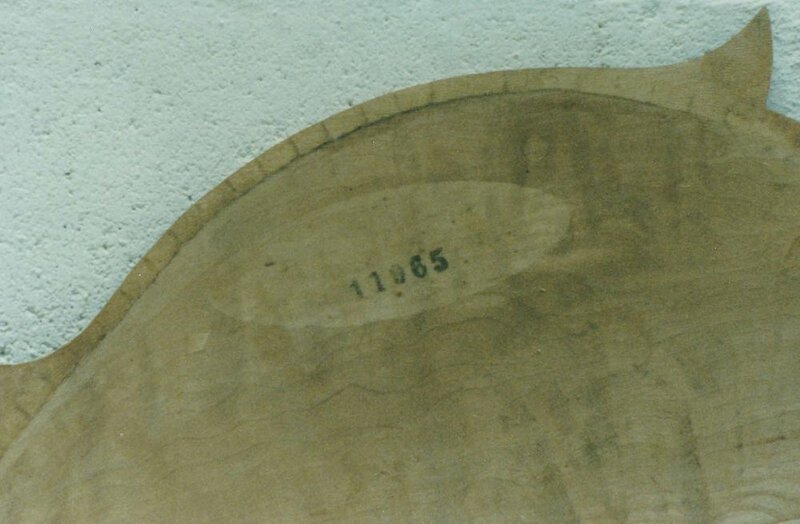 The ends of the case were weather damaged, allowing the moisture in and also leaching red dye from the case lining into areas of the varnish, giving a somewhat redder shade to the Cremona finish. 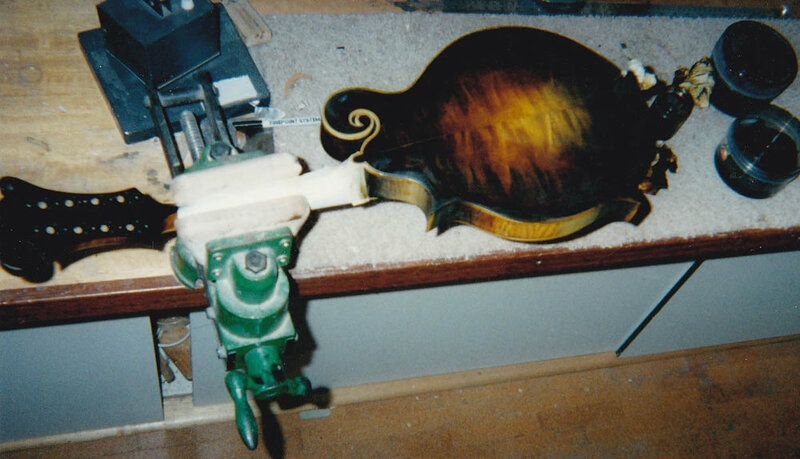 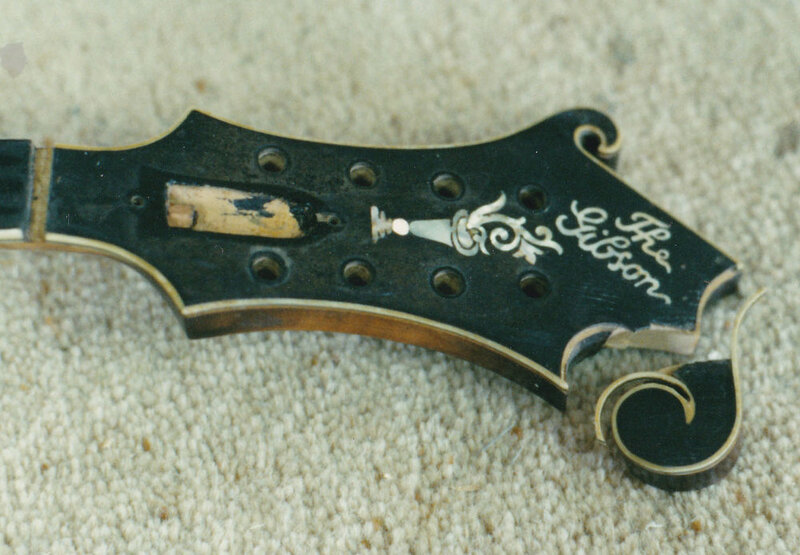 Protected from most of the effects of the weather by the case and plastic, the finish from the centre of the body to the middle of the headstock was in near pristine original condition. 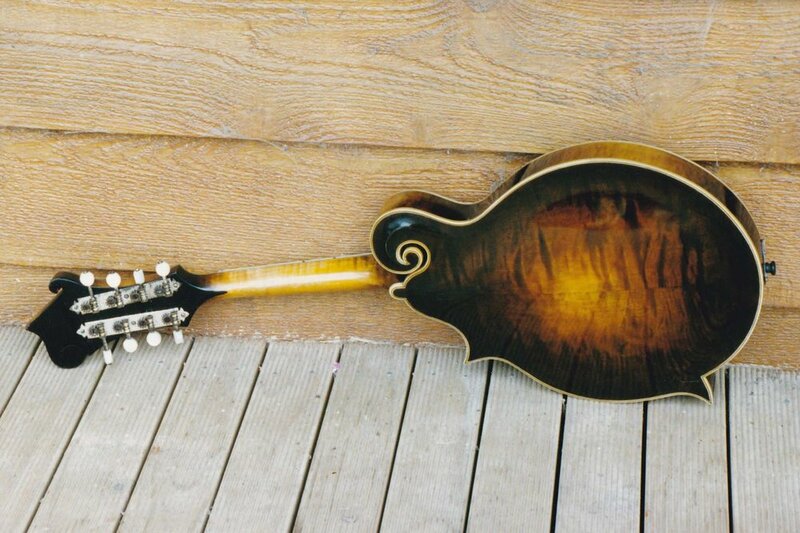 Don't store your mandolin outdoors!